Learn Square shapes. Squares are one of the most common shapes which every child should learn quickly with this simple Square recognition activity worksheet. 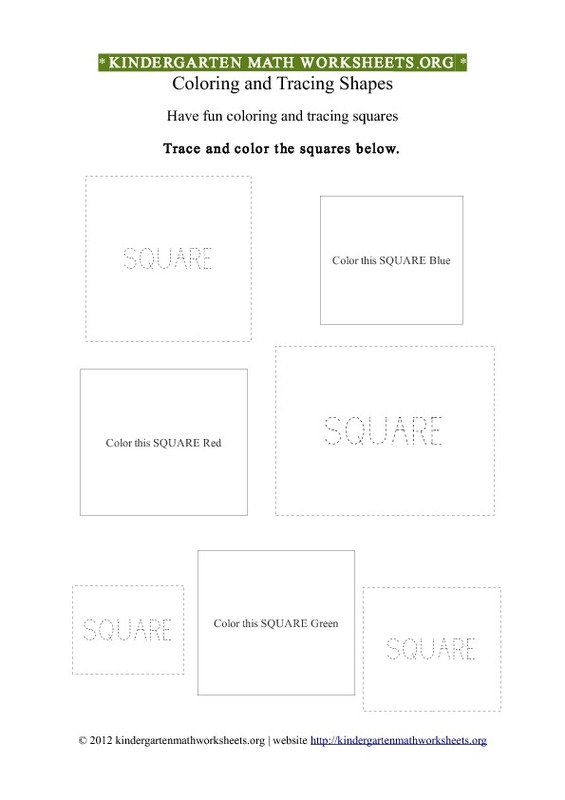 Description of worksheet activity: This Square worksheet contains various Squares to color and trace, including Square words to trace ( dotted tracing ). Suitable for home and kindergarten classroom activities. Download the free printable pdf Kindergarten Shapes Squares Worksheet.